That was me in that video back in 2007. I am Carrie Malone’s daughter, Keeley, the little girl in the red shirt at the end looking down at my little sister. That was the year my family and I became a part of Habitat for Humanity. From the first day we started working with Habitat our lives were changed, and everything we have experienced with Habitat has been some of the best experiences of my life. Back then I was only ten years old and I didn’t really understand what was going on, but I knew that my mom was happy and that’s all that mattered. As I spent more time and helped out more, I began to realize how amazing it really was. The best part was being around during all of the building. My sister and I would sometimes help hand out cookies and napkins to the volunteers at lunch. It was awesome seeing our house being put together and all the people volunteering and helping build the house and a stronger foundation for our family. And still, by each passing day, our house feels more like home. And honestly, it feels like it’s been a lifetime instead of just six years since I drew that picture of what ‘home’ looked like to me. 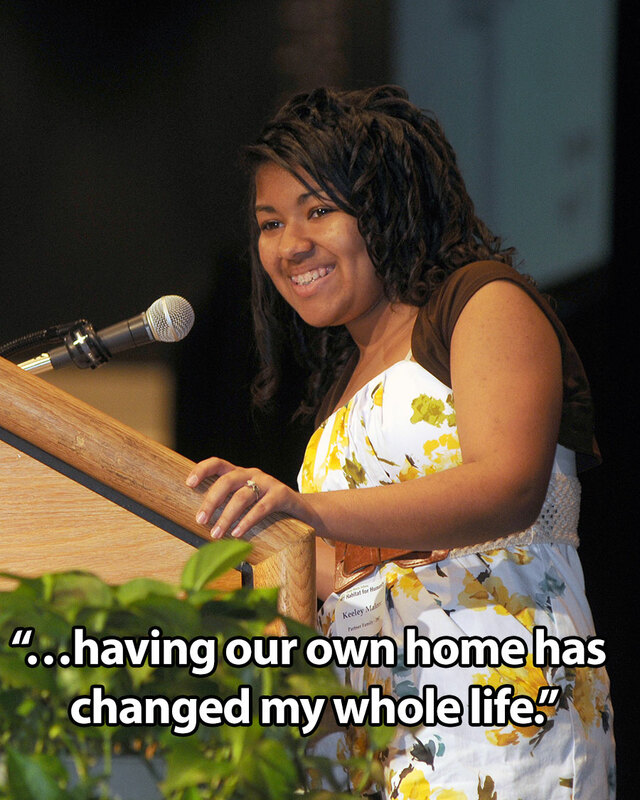 Being a part of Habitat and having our own home has changed my whole life. Without Habitat I don’t know where or what I would be doing in life, but I know that it’d be different. I always look forward to helping and volunteering for Habitat because it always turns out to be amazing, no matter what it is.